I am truly pleased to announce a pair of back to back retreats to be held in March of this year over Spring Equinox at a gorgeous location on the beach in Isles of Palms, South Carolina. I will conduct the first one called Dreams and Divination from March 21-24; and my good friend and colleague Kedar Brownwill conduct the second one from March 27-31. Come to one or come to both! Each of these retreats are a fund raiser for Rites of Passage Council. By participating you support not only your own deep soul work, but also that of many others who will benefit by the continous offerings of Rites of Passage Council. Sign up at the above link to receive their quarterly newsletter telling of the many offerings not only near Asheville but in many other places around the globe. Here is the information describing each of the retreats, including a link to register. Please let me know if you have any further questions. Space is limited so register soon if you want to come. We would love to share this grand opportunity with you. Tayria Ward, Ph.D. has worked consistently with her own and other people’s dreams for more than 40 years. A dream led her into the discovery of deep work with divinatory methods. This workshop will be an experiential engagement with learning the language and medicine of your dreams, amplified by guidance delivered through oracular consultation. An intimate community is built through this work together, held in the powers of a pristine natural setting. Join us for this powerful and inspiring weekend of finding our individual and collective voices through song, stories, music, time in nature and ceremony and braid together deep somatic processing and shamanic healing. Together we will draw upon our own stories to gather the medicine of clarity, wisdom, healing and courage to live a more authentic and inspired life. Join an intimate group of 15 for a year-long mentoring program with Jocelyn Mercado and myself. I am very excited to announce a new program that Jocelyn Mercado and I have been putting our full hearts into developing for a long time now. Please take a moment to discover what the intentions are for this time together. Whether you would like to join us or not, your heart may want to align with the love, hope and thought of what we are creating as a Sacred Way to be in and with the Earth in this intense and creative moment we find ourselves in. I hope some of you might join us on this unique journey.We have designed this program as a way to create an intimate community who will experience a deeply meaningful rite of passage, remembering who we truly are in our most ancient hearts and souls. This statement describes well the work that I constantly feel that I am doing with others, and that Jocelyn and I are intending for this course. It is more than time for us to reawaken the wiser, older, viable human who knows how to live joyfully and sustainably on this planet. As humans, through rites, rituals, ceremonies, deep dialogue, strong and pure intentions we have the capacity to elevate the vibrational frequencies on this planet and to bring ourselves back into harmony with the Balance of Life and Nature. When we work humbly and diligently with the Source of Life, and the visible and invisible supporters of Life, we will be guided and given instructions about how to create a nourishing and fruitful existence for all our relations. It is possible. We sincerely believe it is possible. 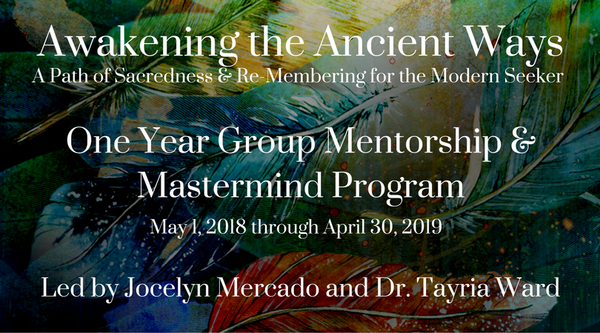 Awakening the Ancient Ways is a one-year mentorship program designed to profoundly assist us with this by aligning ourselves to these Sources, holding our hearts together with deep intentionality and having fun with sweet connection to each other as we journey through. It begins May 1, 2018. I encourage you to go to this page read more details about it. 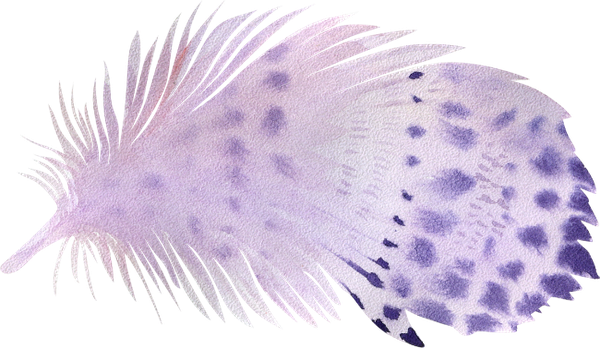 Here is a summary of where our adventures will take us each month, as we flow with the cycles of the moon, the seasons, the Dreamtime, and our collective discovery process. Prepare for magic & mystery! We are planning this so that EVERYONE (online & in-person) will experience Vision Quest during the same weekend! This will be October 5-7, 2018. Looking at our world today with hope and empowerment: What needs to be dismantled? What is the entirely new way that we are being called to live? Open sharing circle: What was your pinnacle moment, what was your biggest shift? Learn More About Awakening the Ancient Ways! Through our work together in Awakening the Ancient Ways, you will become profoundly connected with vast resources. These resources are available to us as our birthright, because we are the children of the Earth & Cosmos, yet most people in our modern / mainstream / industrial culture have forgotten how to access them. You can speak one-on-one with Jocelyn to ask any questions you might have, and she will support you in making the best possible decision about whether to join Awakening the Ancient Ways. Important Note: If you don’t see any dates or times that work for your schedule, write to Jocelyn and you can choose another time that works best for you. Exciting news: We are extending the super-low Early Bird Price for Awakening the Ancient Ways until March 22, 2018! Also, we are offering some wonderful bonuses, including extra 1:1 sessions with me and with Jocelyn. Click here and scroll down to the bonuses section of the page to see all of the bonuses. If you feel a YES from your heart & soul upon reading this information, know that you feel that way for a reason. We are reaching out to connect with 15 very special people who are ready to experience this year-long adventure with us. If this is you, make sure to take action! Don’t let this opportunity pass you by. We want to meet you and experience this journey with you. If you feel called to this work, I hope you’ll decide to join us for Awakening the Ancient Ways! P.S. We are going to hold a LIVE Q&A on Tuesday, March 13th. Attend and ask Jocelyn and me any questions that you have, whether it’s regarding Awakening the Ancient Ways, Dreamwork, raising the energetic frequency for ourselves & Mother Earth, or anything else that you have been wondering about. Bring your questions and we will answer as many as we can. We look forward to seeing you there!